Black and white photo of a 3 story house which was demolished in 1959. 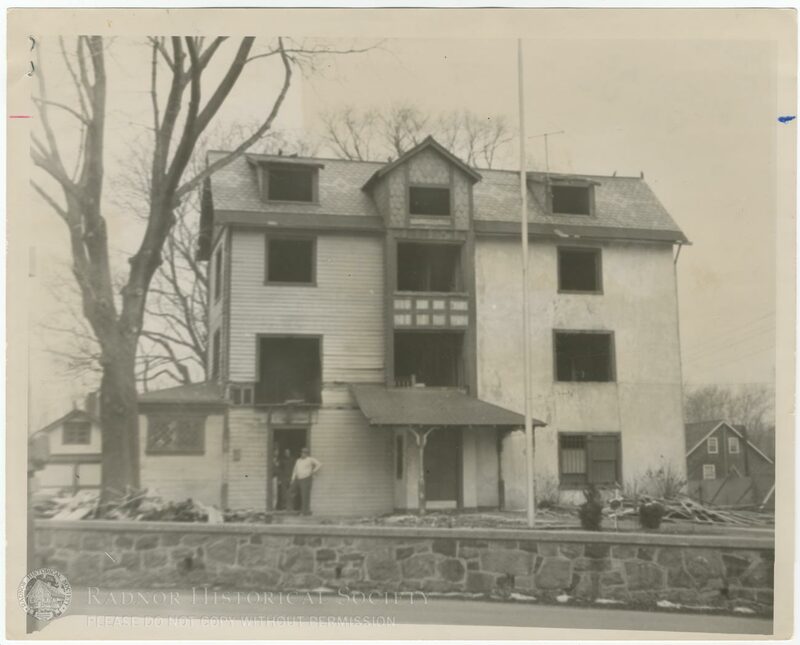 Apparently it was known as the Sider House, but after its demolition it became the Italian American Club building. In the picture, it appears that oossibly demolition has begun. Some men are standing in a doorway. No windows appear to be in place with glass.